Greg Floyd, who sat out last season after transferring from Clark, is a big reason the Jaguars are shaping up to be the team to beat in Division I-A this year. Greg Floyd is a man of few words. 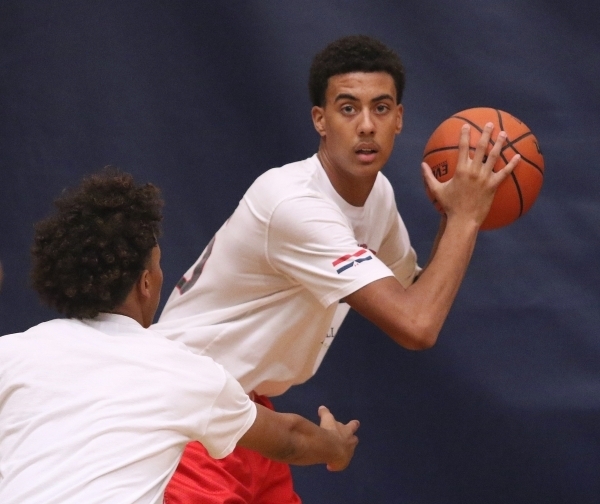 But the Desert Pines junior plans to let his work on the basketball court do the talking this season. Floyd, who sat out last season after transferring from Clark, is a big reason the Jaguars are shaping up to be the team to beat in Division I-A this year. “It was tough, but I kept on grinding,” Floyd said of sitting out last season. 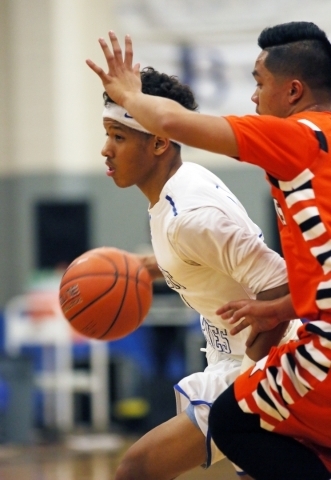 Floyd saw limited action as a freshman at Clark, and didn’t play at all for the Chargers last season before transferring to Desert Pines in December. 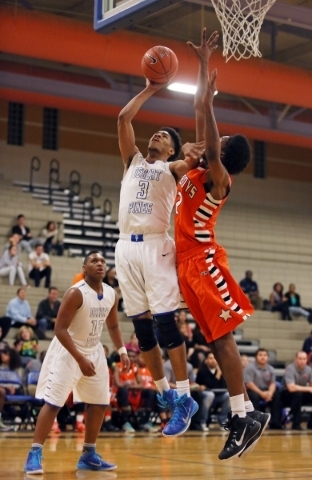 The 6-foot-9-inch forward should help Desert Pines in its quest for a championship this season. 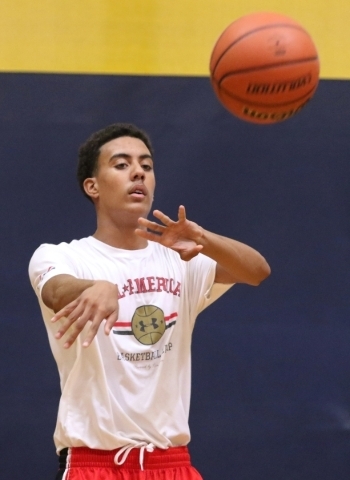 Despite his limited varsity experience, Floyd already has more than 20 scholarship offers. But he is far from the only reason the Jaguars should contend. Two more key juniors return for the Jaguars, who lost 62-46 to Clark in last year’s Division I-A state final. Forward Trevon Abdullah and point guard Capri Uzan, the son of the coach, also return after playing key roles last season. 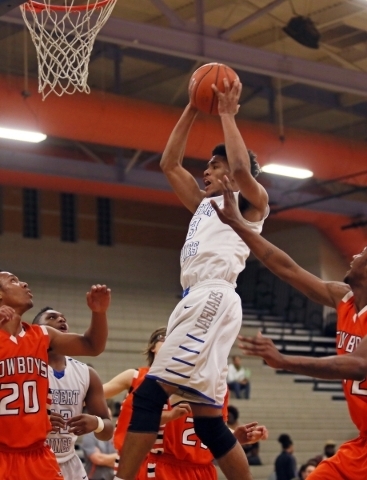 The 6-5 Abdullah averaged 15.6 points and 9.8 rebounds and has committed to play at UNR. 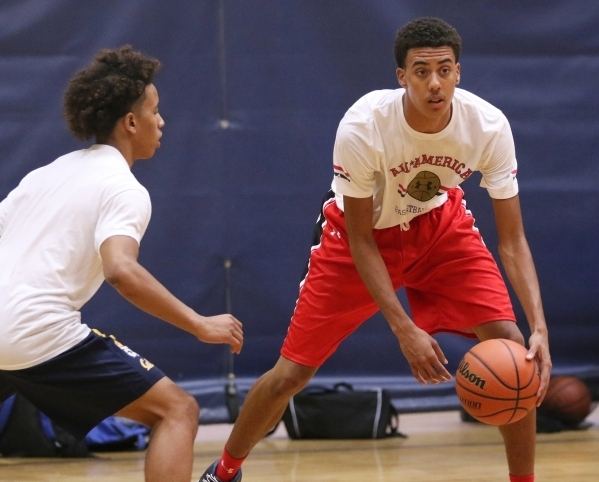 So can the coach’s son, who will have to shoulder more of a leadership role with the graduation of guard Coby Myles. 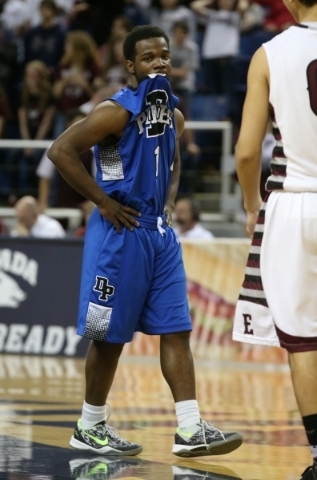 Guard Curtis Henderson is Desert Pines’ only senior. Capri Uzan averaged 17 points and 5.2 assists as a sophomore last season. Floyd brings plenty of length at 6-9, but his shooting ability may be the key for the Jaguars. Mike Uzan said the team will focus more on getting Abdullah involved around the basket. Abdullah might have to carry more of the load inside, especially early in the season. 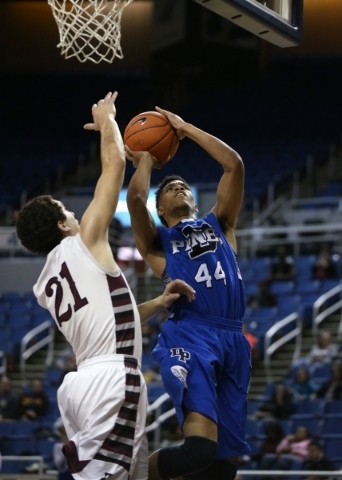 Bryan Penn-Johnson, a 6-10 sophomore, is out until January with a patellar tendon tear. Penn-Johnson is raw, but was a major factor in the state tournament last year with his ability to block and alter shots. 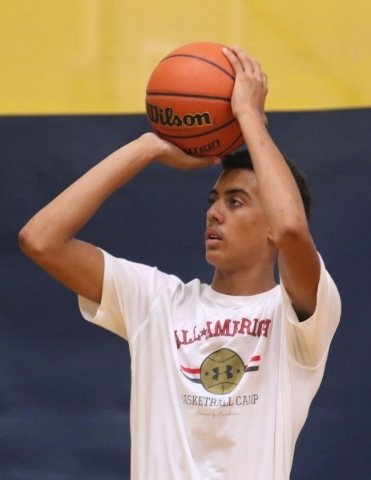 “He can cover a lot of ground with a 7-2 wingspan,” Mike Uzan said. And once everyone is back on the court together, the Jaguars are hoping to capture another state title. Desert Pines won its first in 2013.